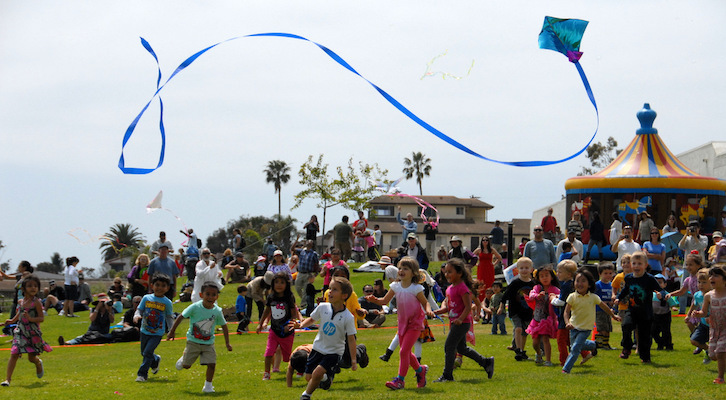 If this rain is getting you down, the Santa Barbara Kite Festival returns to our soon-to-be sunny skies 11am-5pm Sunday, April 14th in the Great Meadow on the west campus at Santa Barbara City College. This year’s festival is dedicated the local philanthropist Chad Dreier, who passed away earlier this year. The festival’s Kite Master Rakesh Bahadur is grateful for the years of support from the Dreier family. Bahadur said, “Chad was truly one of a kind, and his family has been very loving and a wonderful supporter of the festival for many, many years”. Over a dozen familiar kite flying events return to the Santa Barbara Kite festival this year. The festival’s most popular event- the “Children’s Tail Chase” will be entertaining families all day long. Several other family-friendly kite flying contests also return including “Best of Fest”, “Best Ground Display (banners, flags display), “Youngest & Oldest Kite Flyers”, “Most Unique/Unusual Kite”, “Funniest Kite”, and“Most Unflyable Kite”! Proven contests ready to fly include “Most Beautiful” (handmade & commercial), “Highest Flying”, and “Largest & Smallest Kites”. Skilled sport kite flyers will demonstrate their talents at sport flying. Prizes will be awarded to all contest winners including Best of Fest, Most Unique/Unusual Kite, Most Beautiful, and Highest Flying. 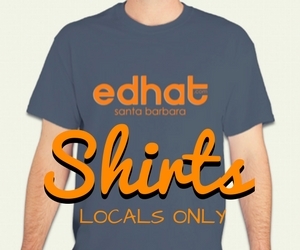 The festival is held each year on the west campus of Santa Barbara City College, 973 Cliff Drive, Santa Barbara, Ca 93109. Admission to the festival is free. Parking is available on both west campus and the main campus. Kites, food, and beverage can be purchased at the festival. April 2019 is officially “Kite Month” in Santa Barbara. Thanks to a proclamation by the Santa Barbara City Council, the month of April is designated as “Kite Month” in Santa Barbara. The Santa Barbara Kite Festival has also been recognized by the city for its annual contributions to community recreation and family fun. Santa Barbara’s Kite month of April is promoted in coordination with the National Kite Month of April - co-founded by the American Kite Flyers Association and the Kite Trade Association International. For more info, visit sbkitefest.net, or our facebook page at facebook.com/santabarbarakitefestival.